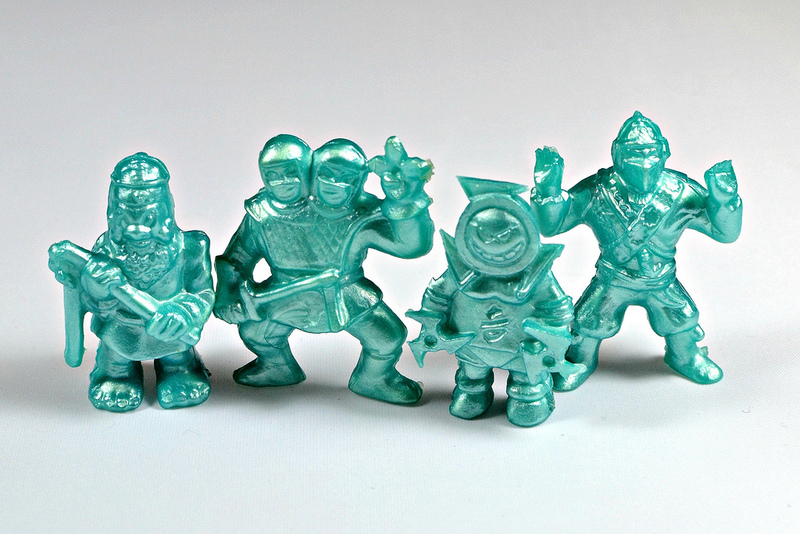 What: Do the shiny dudes pictured above look familiar? No, they're not M.U.S.C.L.E. and N.I.N.J.A. Mites figures--just more flamboyant imposters! 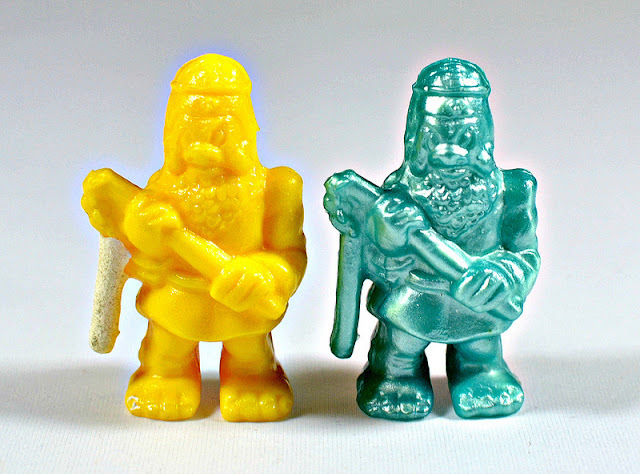 They're actually Cosmix, a bootleg line of mini figures released in France in the late 1980s-early 1990s. 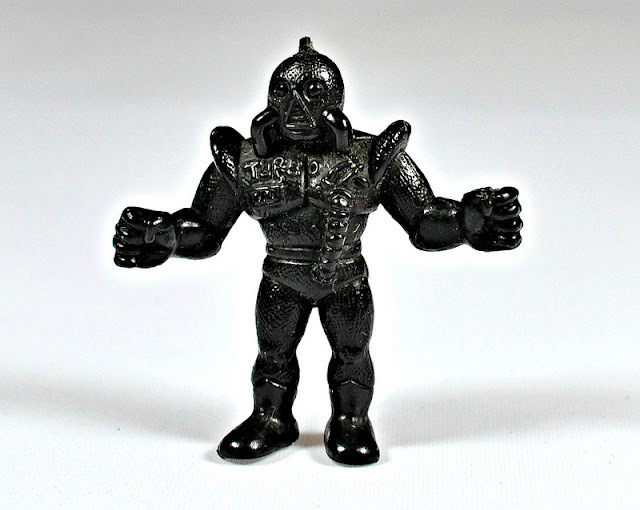 The first series of these figures, released in 1987, "borrowed" sculpts from the then-popular M.U.S.C.L.E./Kinnikuman line, but made them in different colors such as metallic blue-green, metallic pink and black. 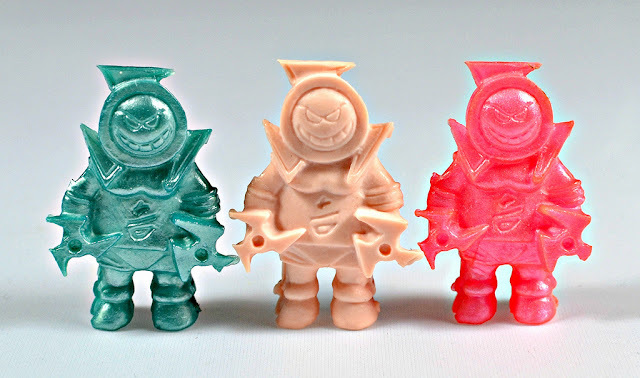 The second series, from 1988, used sculpts from Panosh's N.I.N.J.A. 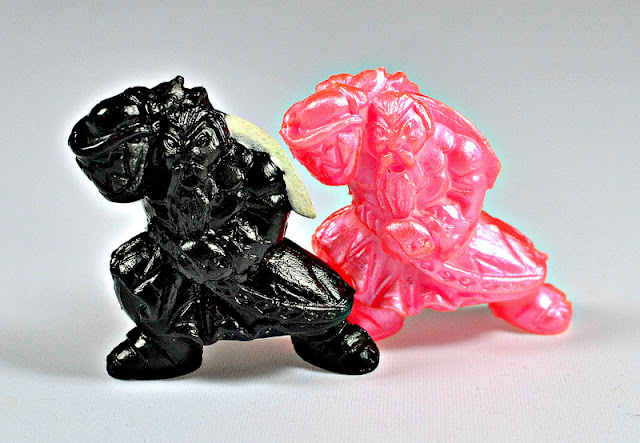 Mites line of little weirdo ninjas, which was released in the U.S. in 1986. This line was also sold in Italy as "Exogini," although I believe the colors were somewhat different. For more details including a list of all the characters, see here. Who: According to the line's entry on Wikipedia, "Cosmix were licensed by El Greco 'Un hellenistic crafts S.A.', a Greek manufacturer, to Action GT (Action Games & Toys Inc.), a North American company, and imported to France by Idéal Loisirs S.A., a famous French toy distributor." Whew.